If you’re a runner, you know that injuries might, at some point, become part of your life. In fact, half of all runners deal with at least one injury per year, mostly due to repetitive motion, or body imbalances. To prevent injuries, it’s important to follow an appropriate running plan and strengthen some key muscles responsible for the movements that are causing you pain and discomfort. Yoga can play a major role in preventing most injuries and recovering faster, as its’ stretches help you improve your strength and flexibility. If you’re experiencing pain on the heel or the sole of the foot, especially when you get out of bed in the morning, you’re probably suffering from plantar fasciitis. This is one of the most common injuries among runners and can be caused by stress from repetitive foot strikes as well as tightness in the Achilles tendon, ankle, and calf muscles. Sole Stretch: Come onto your hands and knees and tuck your toes under. Sit on your heels gently. To start, keep your hands on the floor in front of you and keep some of your weight on your hands as you sit back. You can progress to sitting upright with all of your weight on your heels, palms in your lap. Hold for 30 to 90 seconds. Reclining Hand-to-Big-Toe Pose: Lie on your back, put a strap around the ball of the right foot, and extend your right leg up. Keep your head and shoulders on the floor and grab the strap with both hands. Hold for 1 to 2 minutes, and repeat on the other side. 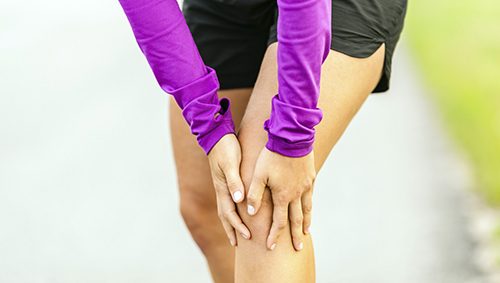 Patellofemoral pain syndrome, the medical term for knee pain, is every runner’s worst enemy. 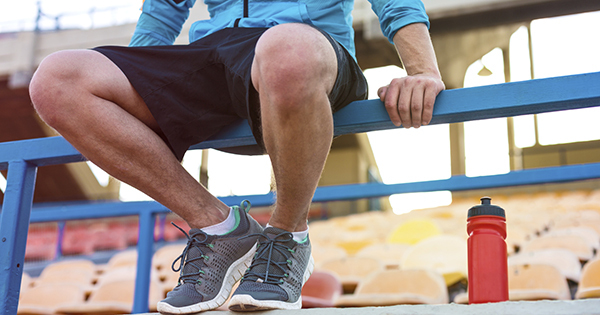 Knee pain can have a number of different causes, including repetitive movements (such as pounding on the pavement), downhill running, strength imbalances or weakness in the hip muscles. Frog: Walk your knees as wide apart from one another as they will comfortably allow. Flex your feet strongly and bring the inside edges of your feet to touch the mat. The angle in both the knees and ankles should be no greater than 90 degrees. 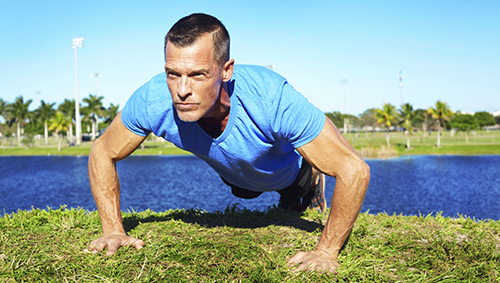 Lower down to your forearms. Gently push your hips back and downwards. Hold for 2 to 5 minutes. Pigeon: Stretch your right leg out behind you, and bend your left knee so that your left foot is near your right pelvic bone with your toes pointed out. Slowly drape your body over the right leg. Repeat on the opposite side. One other cause of knee pain in runners is the irritation of the iliotibial band (IT band), a thick tendon that stretches from the pelvic bone down the tibia. The IT band pain can be caused by downhill running or unidirectional track running, excessive increased mileage, or weakness in the hips and glute muscles. Supine Cow Face Pose: Lie on your back and cross one knee over the other. Hug your knees in toward your chest, while keeping your head on the floor. Hold for 1 minute, and then repeat with your legs crossed the other way. Standing Forward Bend (variation): While standing, cross your right ankle over your left. With your knees slightly bent, fold forward and rest your hands on the floor. Reach your sitting bones toward the sky and move your ribs away from your pelvis to prevent your back from rounding. Hold for 1 minute, and then repeat on the opposite side. This muscle group is the source of frustration for many runners. They are so strong and thick it takes time to open and flex tight hamstrings. Standing straddle forward bent: Start by moving apart both legs as far as you can. Your feet should face outwards. Tilt your torso to the front and move your hands so that they are below your shoulders and your wrists in alignment with your ankles. 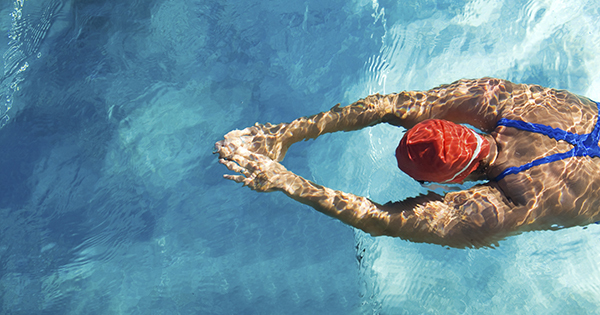 Bend your elbows and try to keep your hips in the same plane in which your ankles are. Displace your body weight upon your feet and draw your quadriceps muscles upwards. Plow pose: Lie on your back and bring your legs straight up in the air towards the ceiling. Bring your arms alongside your body with your palms down. Press into your hands and lift your legs over your head. Any poses you want to add? Leave your suggestion in the comments below! 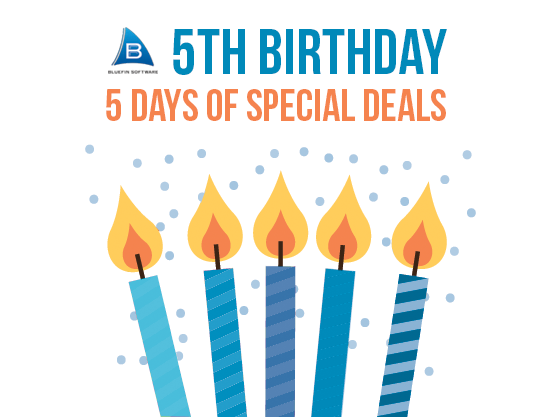 You’ve been running regularly for some time and have completed a few 5K races. Now what? A new running goal is always a good idea. 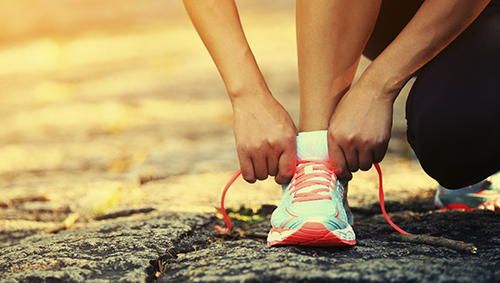 If you’re still not ready to race your first 10K, you might want to take your racing to the next level, by focusing on increasing your personal record. 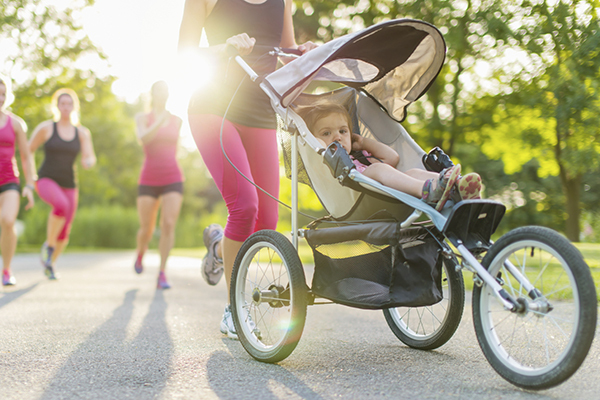 To run faster and more efficiently, you might want to consider getting extra help. A friend who mastered several 5Ks, a personal trainer, a schedule, all these options are valid. 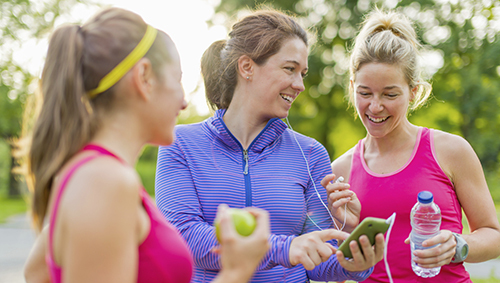 But if you’re used to running with your phone – that you use as a gps, music player or to take a few running selfies – Ease Into 5K might be the right training plan for you. 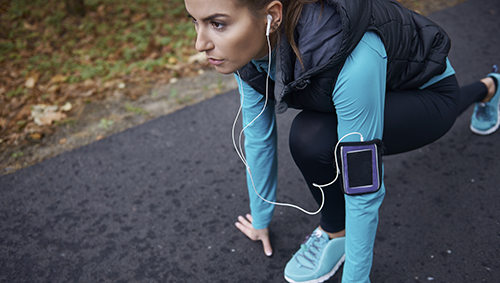 Ease into 5K is a beginner’s running app that brings a new approach to training, more geared towards the needs of beginning runners and designed to provide lots of insights and motivation along the way. By following a training schedule that’s specific for a 5K race, you’re more likely to see better results and improve your PR. 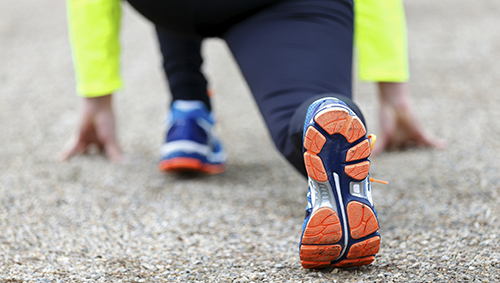 Speed workouts are essential for anyone who wants to run a faster 5K. If you’re aiming for a better PR, incorporate speed sessions into your training, including intervals where you sprint for short bursts of time. Because sprinting can be hard on the body, make sure to start off with shorter sprints and gradually extend the length of time you feel comfortable running at an increased speed. For instance, you could start by adding sprints of 200m or 400m followed by an appropriate recovery period. As you get closer to race day, your body should be able to handle 800m or even 1km speed sessions. To build up speed and develop muscle power, there’s nothing better than some short sharp hills. Hill running is great to strengthen up your leg muscles, increase your aerobic capacity and optimize your overall running technique. Find a hill with a moderate slope (about six to 10 percent incline) that’s about 100-200 meters long. 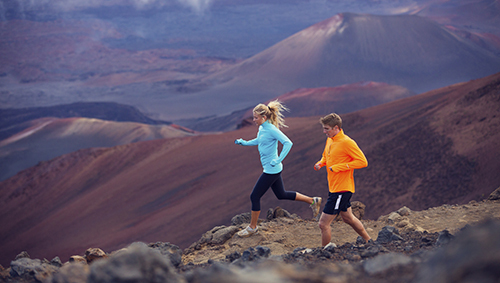 While running up the hill, keep your effort consistent and don’t let your running form fall apart. 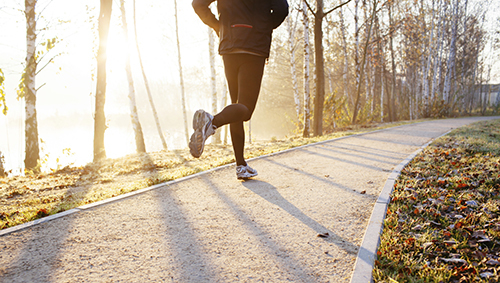 Recover by easy jogging or walking downhill backwards to avoid pressure on the knees. To avoid injuries, incorporate hill training gradually. Start with 5-6 repeats and add another one each week, with a maximum of ten repeats. 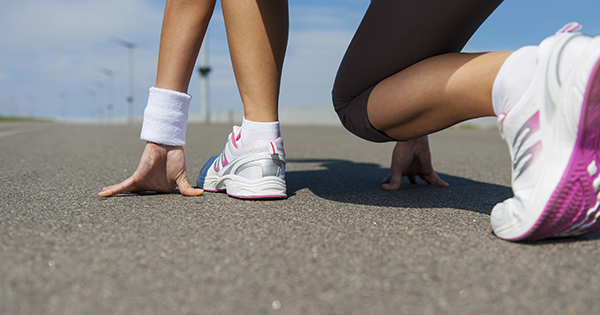 A stronger runner is a faster runner. To become more powerful and more efficient, you need to strengthen the muscles that make you move. Therefore, don’t skip the squats, planks, lunges, step-ups, calf raises and bent over rows. These exercises will target your shins, calves, quads, glutes, and core in order to make them stronger and injury-free. 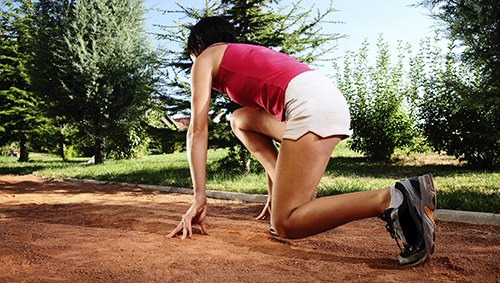 To beat your current personal time, you will need to develop your endurance. 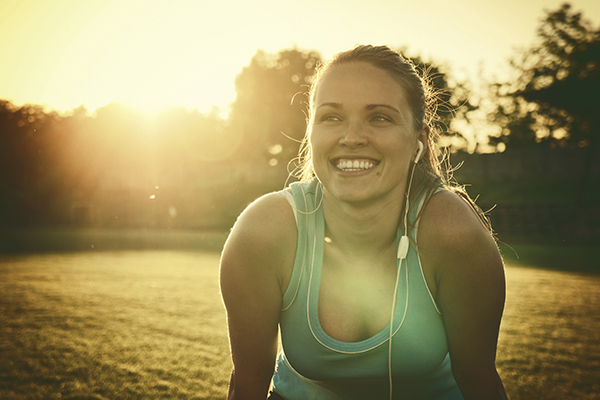 You can accomplish that goal by regularly increasing your mileage every week. Escalating the length of your longest run will improve your cardiovascular fitness and make you feel good about just running 5k on race day. Just make sure you don’t increase your mileage by more than 10% each week and remember you are aiming to run at a slower pace on long runs than your race pace. Newbie or vet, the odds are the same: if you start running, it is very likely you’ll end up injuring yourself. At least half of all runners deal with at least one injury per year, and 25 percent of runners are injured at any given time. Fortunately there are always preventative measures you can take to avoid the pain. The first one: know what type of injuries you can suffer from when you’re logging miles. To help you stay safe and injury-free while working out, we’re now sharing four common injuries among runners, along with a few ways to prevent and stop the pain. Experiencing a discomfort behind, below, or around the patella (or kneecap) is a symptom of patellofemoral pain syndrome, the medical term for knee pain. This tender pain usually presents itself in gradual stages and gets worse while running or walking up and down stairs. Knee pain can have a number of different causes, including repetitive force of pounding on the pavement, downhill running, strength imbalances, weakness in the hip muscles, and excessive or insufficient pronation. To prevent it, experts’ advice is to strengthen the lower body, especially the quadriceps, hamstrings, hips, and glutes. 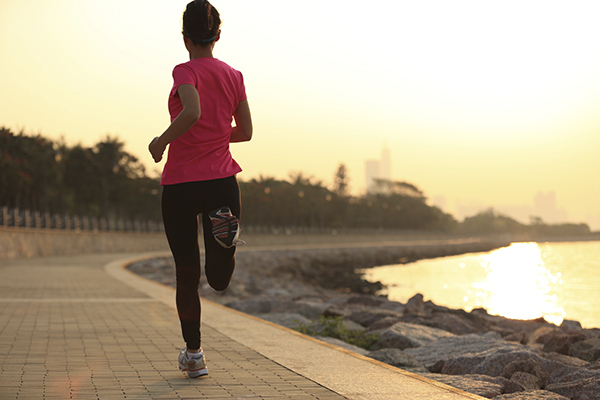 If you’re already dealing with knee pain, opt for flat or uphill terrain and softer running surfaces. To treat the injury, experts suggest knee braces, anti-inflammatory medications, and if necessary, reducing the amount of running you do. Iliotibial Band (IT band) Friction Syndrome triggers pain near the outside of the knee, due to the inflammation of the Iliotibial band, a thick tendon that stretches from the pelvic pone down the tibia. This injury represents about 12 percent of all running-related injuries and is very common among distance runners and marathon racers. The IT band pain can be caused by excessive increased mileage, downhill running or unidirectional track running, stiff shoes, high-arched feet, and weakness in the hips and glute muscles. To avoid it, you should work your lower body strength and follow a running plan that gradually increases your mileage and includes diversity to your training. To decrease inflammation and reduce pain, experts recommend specific stretches as well as icing, foam rolling, and taking a break from running if the pain persists. 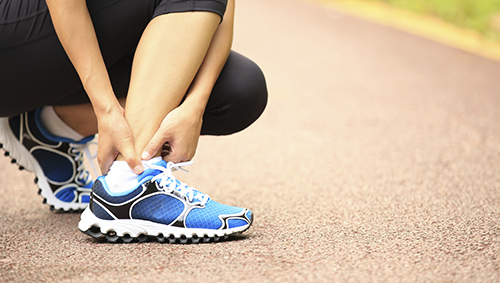 Achilles Tendonitis occurs when the tendon is under too much stress and becomes irritated. This injury is typically the result of rapid mileage increase, excessive amounts of interval training, hill running, improper footwear, tight calf muscles or insufficient recovery time between workouts. You can prevent it by strengthening your calf muscles and stretching them after your workout, and wear shoes that offer more medial support. To treat achilles tendinitis, you should back off on the types of workouts that put extra stress on the tendon, such as interval training and hill climbing. Add some rest, anti-inflammatories, stretching, icing and you’ll get back on the path to recovery in no time. Shin splints are one of the most common injuries among novice runners and those returning after an extended layoff. The main symptom is a pain (aching, stabbing sensation) felt along the shin bone. Although this is not a serious injury, it could lead to a stress fracture, if left untreated. 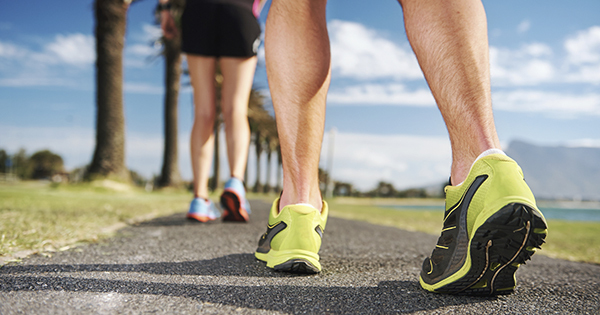 Shin Splints can result from increasing workout mileage or intensity too quickly, running on hard surfaces, wearing the wrong shoe or a pair with too many miles, and tight calf muscles. To avoid them, you can take some preventative measures, such as strengthening your lower body muscles and investing in sneakers with shock-absorbing insoles that support the arch. If you’re already looking for treatment, try icing the shins for 15-20 minutes and keeping them elevated at night to reduce swelling. Have you already dealt with any of these injuries? How did they affect your training plans?